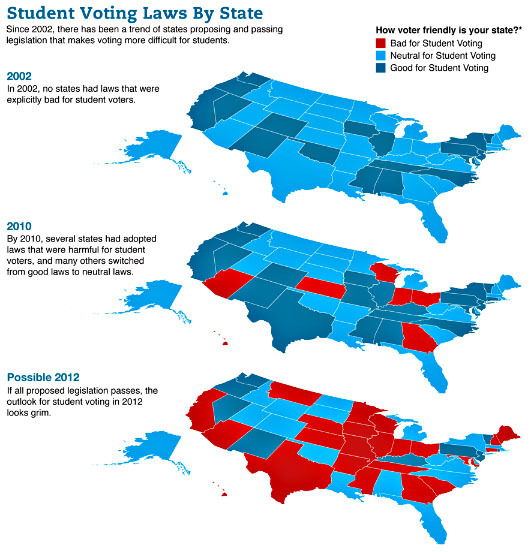 This comes from Campus Progress and shows the spread of laws designed to make it harder for college students to vote. Why? Because college students tend to vote for Democrats. The group behind this push, you’ll be unsurprised to learn, is funded by all the usual conservative suspects, including everyone’s villain du jour, the Koch brothers.